Here at Lost Creek, we are experts in dog behavior and communication. 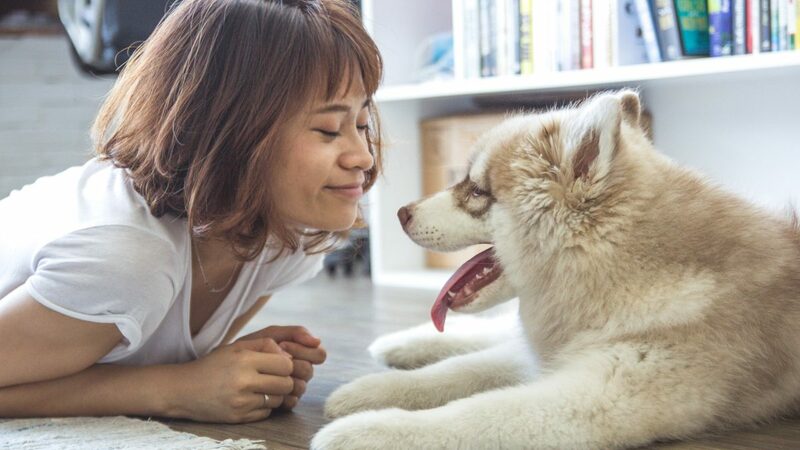 We can predict a dog’s behavior within seconds of meeting them for the first time. We gained this knowledge through years and years of studying, researching, and good old fashioned trial and error. Often, we have clients come to us who are at their wits end with their dog. They simply cannot fathom what is going in their dog’s mind! Since, we know canines so well, we are able to quickly diagnose and correct the problems our clients are having. I can’t tell you the number of times we have been asked “Are you guys magicians?” While what we do may look like magic, what it really comes down to is one simple thing: we know dogs. 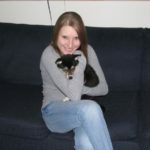 So I began to think about how we can make it easier for our clients to know their dog. I came to the realization that, frequently, people don’t understand their dog because they had no idea what to expect when they entered the dog world. I will admit I was this way years ago when I bought my first dog, Chio. Chio was a Shiba Inu. For those of you that know Shibas, they are strong willed. I cannot tell you why I decided to buy one of the most strong willed breeds in the world for my first dog, but she was really cute! I had grown up with dogs and thought that I knew what I was doing. It’s hard to admit, but I was not a good owner for Chio. I had no idea how to be a good dog owner, let alone an owner of a hard-to-handle dog. She had no idea how to be a good dog, based on human standards. She couldn’t understand why she shouldn’t potty in the house when she needed to. 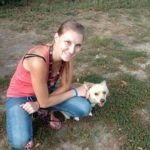 I was baptized into the dog world by fire and through many tears, help from family members, calls to trainers, and hard work, Chio and I came to a simple understanding: neither of us knew what we were doing! Chio passed away young in an accident, but I will never forget the lessons I had learned with her. It was only then, when I came to work with Lost Creek, that I truly understood where I went wrong with Chio and I feel compelled to help others that feel lost, just like I did all those years ago. This one sounds ridiculously simple as well, but I promise you, we all do it. We all remember our childhood dog or even our previous dog that was well mannered and mild tempered. We may even see the parent(s) of our pooch and think “that is what my dog is going to be like”. We enter into a relationship with our dog with these preconceived expectations in our head. But not all dogs are created the same. Even dogs from the same LITTER can be vastly different. 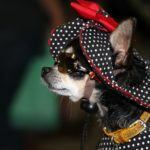 Temperament, intelligence, willingness to please…these are all things that affect a dog’s behavior and cannot be expected to remain consistent throughout litters, breeds, and even the species. Don’t get me wrong, meeting the dam and sire of your pup before you purchase them is greatly important, especially when picking a future service dog, but it is NEVER a guarantee. You can and SHOULD always consult with an animal behaviorist when thinking of purchasing/rescuing a dog. We have a much better idea of what we are looking for than the layman. Just as children need to know what the rules are and have them enforced, so, too, do our dogs. Dogs come into our world with a huge disadvantage. They are not in control of their own lives and are made to live in a game where they do not know the rules. We have a saying at Lost Creek; Make training your dog a game that they can always win! The first step to winning, is teaching them the rules to the game. You should make the expectations clear and realistic for them. If your dog does not know what the command “Stay” means, you cannot expect them to remain in a “Stay” as you walk 20 feet away without failing! Next, is showing them how to play! Show them what you want them to do before ever introducing a command. The last step is to never make the game so hard that they want to give up. Dogs have a short attention span. Do not push them through a 30 minute training program without building them up to it. You can’t win a marathon by just showing up and running, without practice! 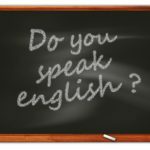 Do you speak Arabic? Farsi? Russian or Tagalog? Neither does your dog, nor English. “Ok, so what language do they speak?” I know it sounds funny, but I’m serious. I often see people just shouting commands at their dogs and then getting upset when the dog does not respond. If you do not show your dog what to do and then associate the word, they will not know what a particular word means. You could yell “potato” at them for as much difference as it would make. 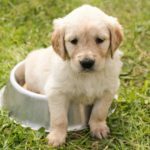 Dogs have specific nutritional requirements. These cannot be met by eating food created for humans. They cannot be met by eating cat food. Dogs must eat food for dogs. 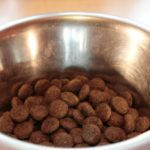 Whether that is dry food, wet food, or whatever have you, their diet needs to be tailored for their species: canine. They cannot live well on scraps, there is too much inconsistency in nutrition. They cannot live well on a vegetarian, vegan or all meat diet, dogs are omnivores. I cannot stress this enough. You can’t buy a dog, keep them in a kennel/room all day, do nothing with them except snuggle them, and expect them to be happy! They NEED exercise to release energy! Have you ever been snowed in to your house for days without television, books, or anything to keep you busy? That is what it feels like to them, ALL of the time. They go stir crazy! 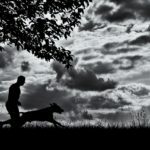 If your dog is tearing things apart, you are not meeting their needs in some way, the most likely of which is exercise. Check out our blog post “LCTA’s Tips and Tricks: Exercise” for some tried and true methods of incorporating exercise into your pup’s routine. 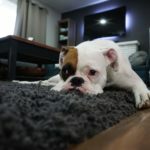 When you bring a new dog into your home, they are going to feel completely overwhelmed with all of the changes that are taking place. New sights, sounds, smells, and expectations are going to be heaped onto them. This can put even the most calm dog on edge. 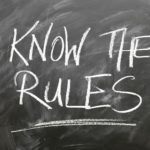 Help ease the transition for them by setting the rules right away, and show them what those rules are. Explain where they can and cannot potty, lay, sleep, etc. Don’t expect them to be perfectly behaved because odds are they will not be. Be understanding and gentle. Expect anywhere between 2-4 weeks for your dog to adjust. 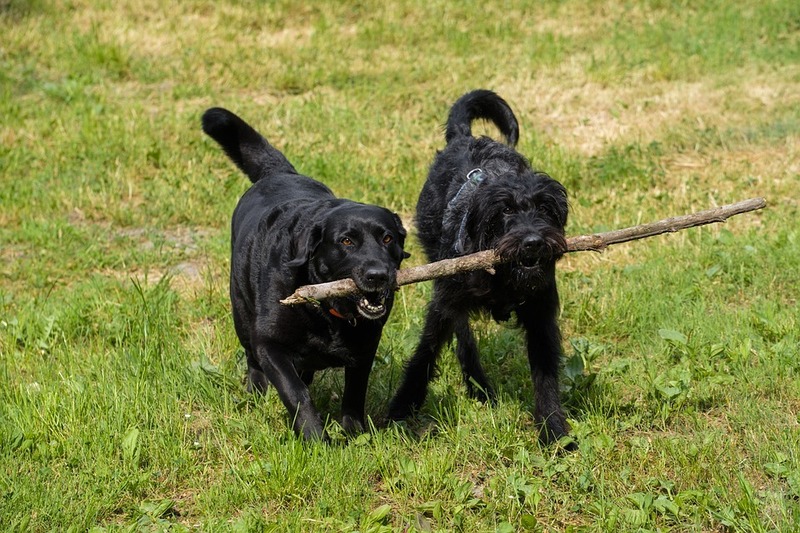 If your dog is coming from a traumatic situation, this time-frame may be significantly longer. 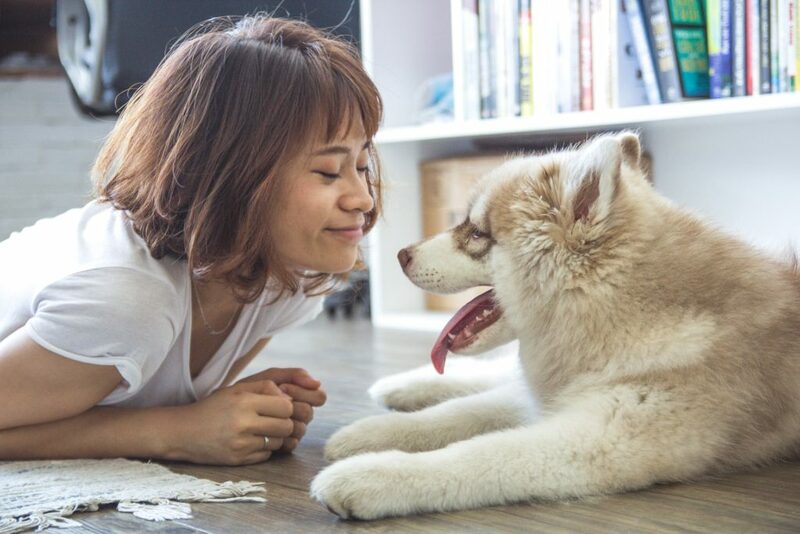 It is always a good idea to consult a behaviorist before bringing a new dog to your home to give you a specific timeline and training plan for your family. It’s hard to say no to a puppy, isn’t it? They have the most ADORABLE faces and are so fun to play with. What a lot of people don’t know (or forget) is that puppies take a LOT of work! The amount of attention that puppies need is not far off from what a human infant needs. They cry, they make messes, they poop and pee a LOT! If you are considering getting a young puppy, go into it with realistic expectations. Even I forget how much work is involved until a new puppy joins us in the kennels. It is hard work, but if you do it correctly from the VERY beginning, your puppy will be house broken and well mannered in no time! An 8-18 week old puppy is still a baby. 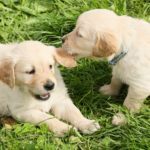 They WILL have accidents, chew things, jump on people, pull on the leash, and exhibit so many other “bad” behaviors that you will want to rehome them. It is ENTIRELY unacceptable to expect a puppy to be perfect or even a “good dog” at these ages. All dogs mature at different rates, and MOST puppies cannot fully understand and execute these rules at once. Please be fair. If you make the important decision to consult an animal behaviorist, LISTEN to what they have to say and STICK TO IT. A behaviorist is highly trained in recognizing and altering animal behavior. They know what they are talking about. If they suggest you do something, it is best to do it! They will have your dog’s best interest in mind when they give you suggestions. At Lost Creek, we feel so strongly about getting people started on the right path with their dog that we offer FREE phone consultations! 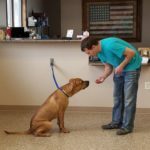 Give us a call at (308) 455-0235 to talk with our behaviorist today!